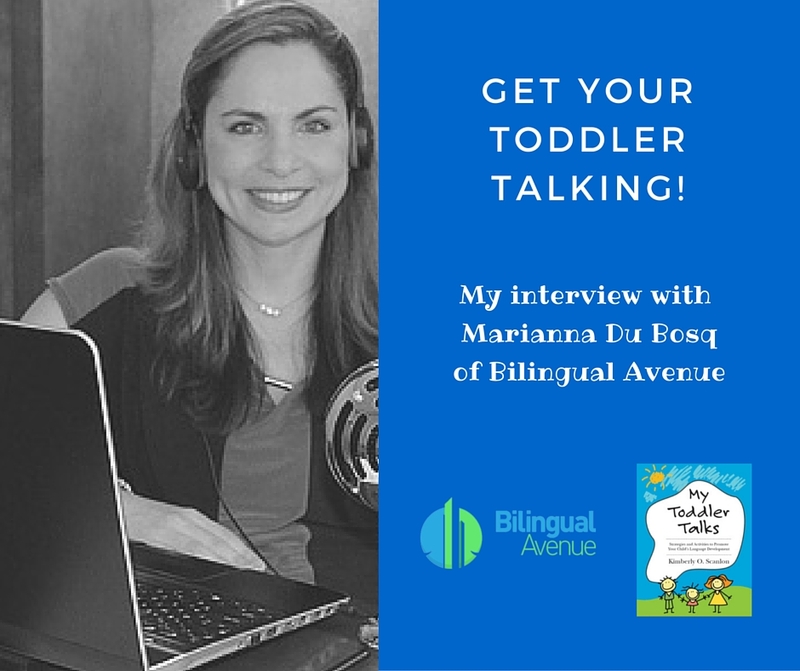 Recently, I had the awesome opportunity to chat with Marianna Du Bosq, a bilingual mother, a former educator, and the creator of the informative website Bilingual Avenue. We had a great time discussing various topics related to toddler language development. The interview is approximately 40 minutes long and it’s jam packed with so much useful information! 1. What can readers gain from reading My Toddler Talks and what should they expect? 2. Can you describe how play relates to language? 3.Why are predictable routines helpful for learning? 4. How Can We Incorporate Routines Into Everyday Play with Our Children? 5. Can you share with us some of your favorite language modeling techniques? 6. What are some common mistakes that you see parents make when working on language development with their children? What can we do to avoid them? 7. What would you say to parents who are struggling to get their children to talk? 8. I spend a lot of time talking to my listeners about setting goals. What advice do you have for setting goals around language development? Could you share an example? 9. What is one last piece of advice you’d like to pass on to our listeners? I invite you to listen to it!